Fabulous location on the creek in Snowcreek IV. Southfacing, large 3 bedroom/loft townhome accomodates a large family and more. 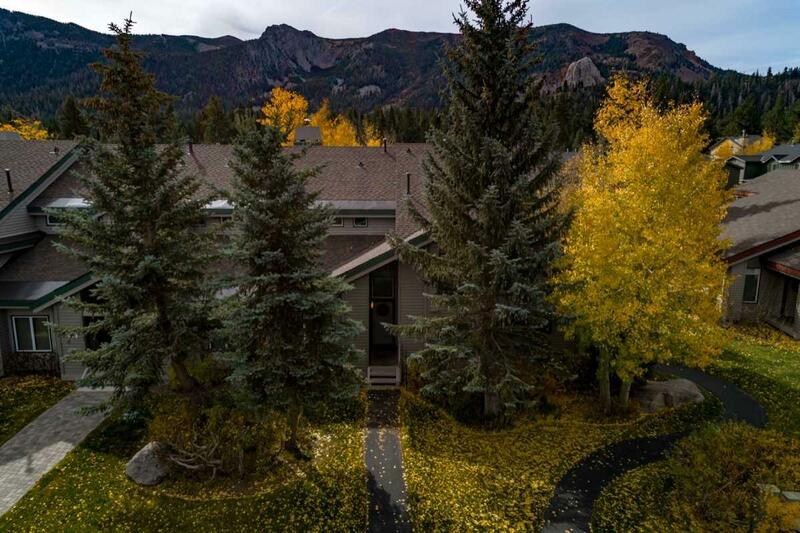 Huge aspens and year round creek in the back yard make this a very special location! Views of Mammoth Rock and the Sherwins. Sold fully furnished, this home is ready for you to make your vacation getaway. Not on a rental program and meticulously maintained by the current owners. Broker/Agent does not guarantee the accuracy of the square footage, lot size or other information concerning the conditions or features of the property provided by the seller or obtained from Public Records or other sources. Buyer is advised to independently verify the accuracy of all information through personal inspection and with appropriate professionals.